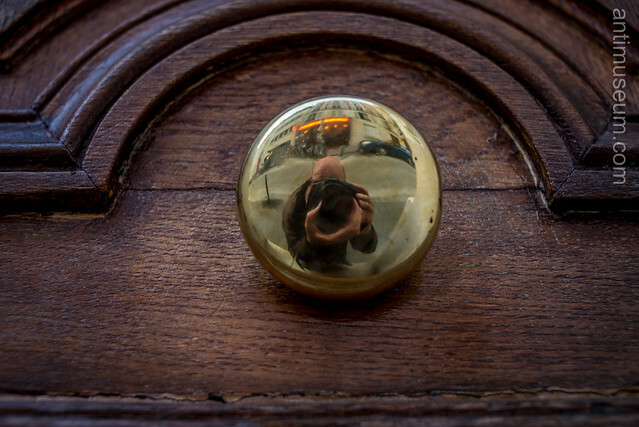 Reminiscent of Neil Young’s harvest and its amazing cover pic, a staple of all record collections owned by people from my generation, my reflection in a vintage doorknob near Denfert Rochereau. Shot with my ancient manual Nikkor O 35mm f:2 lens. Hey! Someone in my Myspace roup shared this website with us so I came to take a look. it and I have you saved to fav to see new stuff in your site.